The structure and materials used to build a home are the foundation for energy efficiency. Once the home has been built, filling it with products and appliances that save energy is the best way to reduce costs and help save the environment. Energy Star appliances are a great option for lowering monthly costs and saving energy throughout the home. Southland Custom Homes chooses Energy Star appliances to give homeowners the best products that they can rely on for many years to come. Our goal is for each family to enjoy their home long into the future. With Energy Star appliances, our custom homes provide comfort and ease of living as well as lower energy costs, reduced environmental impact and lower energy bills. The Energy Star label is supported by the United States government to help consumers save money and sustain the environment through the use of energy efficient products. The label was created to make it easier for consumers to find energy efficient products that will save money on monthly energy bills and reduce greenhouse gas emissions and other pollutants in the atmosphere. These appliances offer all of this without sacrificing the desired performance and additional features of the best items on the market today. There are many advantages to using an Energy Star certified appliance. The most obvious advantage is lower utility bills each month. 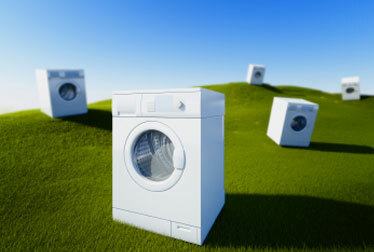 Appliances make up approximately 20% of household energy usage. The money and energy that will be saved over time is well worth the initial investment of a superior appliance. Outstanding quality is another benefit of using Energy Star appliances. Many energy efficient appliances offer extended warranties and boast fewer mechanical problems plus a longer equipment life than other standard appliances. A further benefit of Energy Star appliances is overall performance. The advanced technologies used to design these appliances often results in better performance than the standard options. Some of these technologies include quieter operation and decreased water use. Energy Star appliances add the perfect finishing touch to our custom homes.